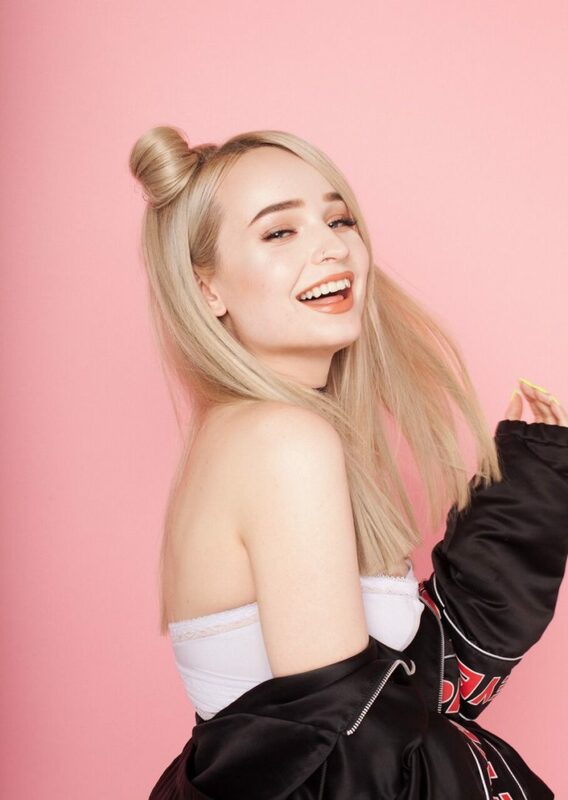 Friday 8 June 2018 – Fresh from announcing she will be supporting Troye Sivan on his major “The Bloom Tour” in North America, future pop princess Kim Petras has unleashed a stadium-sized power pop single: ‘Can’t Do Better’. Kim petras Credit thom kerr‘Can’t Do Better’ shows a different side to the promising singer-songwriter’s palette while bringing out her strongest vocal performance yet. The distinct 80s music influence is a nod to an era where so many of Kim’s pop idols emerged, such as Queen, Cyndi Lauper, Boy George, and Madonna. The rising star – hailed by Charli XCX as “the future of pop” – played her first sold-out headline show in London last month, where she performed ‘Can’t Do Better’ for the first time and heard the crowd sing the chorus back to her within minutes. Kim has achieved over 30 million streams to date, powered by her infectious pop singles ‘Heart to Break’ (which has racked up over 6.7 million Spotify plays and over 2 million views on YouTube), ‘I Don’t Want It At All’ (#1 on Spotify’s Global Viral Chart) and ‘Faded’ (featuring Lil Aaron). She has been tipped as the pop force to watch for by the likes of Noisey, NME, FADER, Music Week, i-D, Dork, Gay Times, The New York Times, and many more. Kim is one of a few artists championed by Spotify’s exciting emerging artist program RISE, designed to identify and break the next wave of music superstars through Spotify’s unmatched cultural influence and 140+ million music fans. In the past year, Kim has released a string of singles independently. In addition to ‘Heart to Break’, there is: ‘I Don’t Want It At All’, ‘Faded’(featuring Lil Aaron), ‘Hillside Boys’, ‘Slow It Down’, ‘Hills’ featuring Baby E, and a live acoustic cover of The Killers’ ‘Human’. Kim also featured on Charli XCX’s POP2 track ‘Unlock It’ with Jay Park. Born in a small town outside Cologne, Germany, Kim grew up obsessed with pop music icons Britney Spears and Spice Girls, which had a profound influence on her songwriting finesse. Kim is also transgender and made headlines around the world when she became the youngest person to ever undergo gender reassignment surgery at age 16. Kim was recently unveiled as one of the faces of H&M’s first Pride-themed capsule collection Pride Out Loud, alongside Gus Kenworthy, Aja, Shaun Ross and more.